While photographs have been discovered that show Longlands House in the course of demolition in the early 1970s, this sketch is the only complete image discovered of the 18th Century House as it once was. For 200 years or so, Longlands House, or Longlands Hall and its extensive range of outbuildings stood on the site of today’s Concorde Group offices (formerly home to the Team 17 Digital Ltd, gaming software company) on the Wakefield and Dewsbury Road at Flushdyke Ossett. 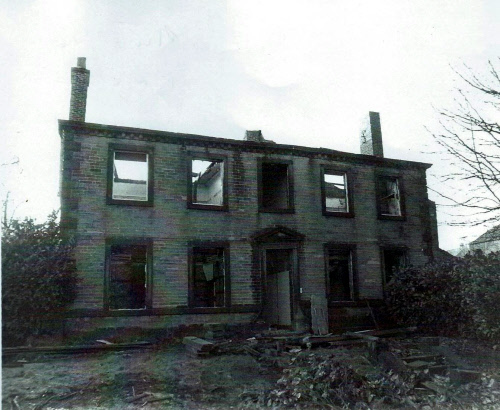 Above: Longlands Hall just before demolition in the early 1970s. In its prime the 12-roomed house was the home of the Haigh family, the largest land owners and the richest family in Ossett. The House stood in grounds extending to 16 acres, with a further 5 acres nearby. Its location, with convenient east to west and north to south routes, was perfect for its owners’ business as wool staplers and land owners. 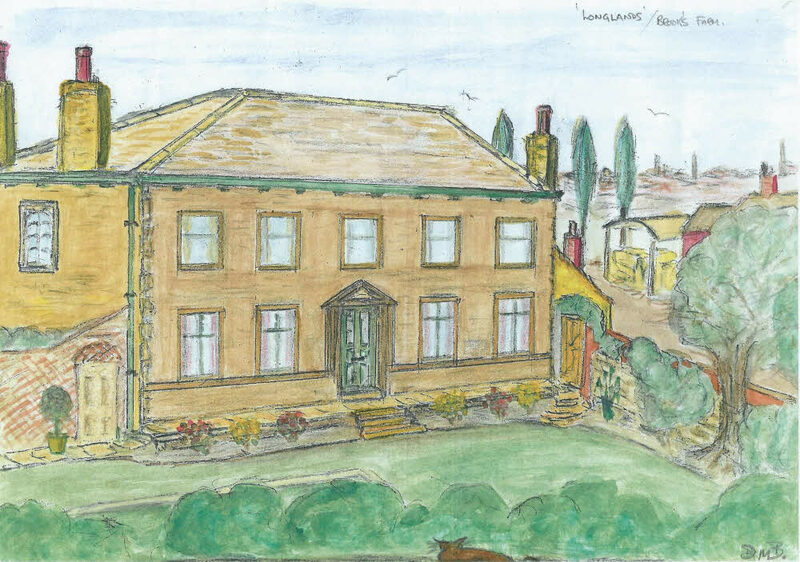 Tommy Brook’s Farm, on land adjacent to and owned by the Haigh family, can be seen on the right of the sketch so well recalled by Douglas Brammer who recalls delivering papers to the house in the 1940s. Once upon a time Flushdyke was home to many working class families going about their business, earning a living and bringing up their children in a small community of mainly back to back houses where everyone knew everyone. There was however one significant exception to this rule. A family called Haigh and a house called Longlands known, it seems, to hardly anyone. With 12 rooms and its own “plantation” Longlands House was the largest in Ossett, owned and occupied for 100 years or so by Ossett’s richest family, the Haighs of Longlands Hall .The last of the Longlands’ Haighs died in the late 1850s but Longlands survived for another 110 years or so until it was demolished in the 1970s.